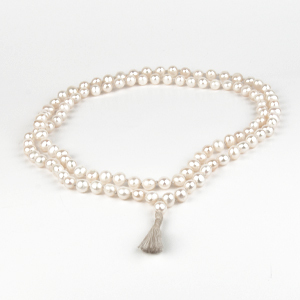 The beads of Quicksilver (Mercury) Rosary is made with the mixture of Silver and Mercury. It is solid. Mercury alone doesn't has the quality to be in shape. Mixture of Silver gives Mercury the desired shape of beads. When this bead is kept in the Sun it reflects the rainbow colour which in considered very auspicious and believed to have the power to remove one's all sins even by touching it. 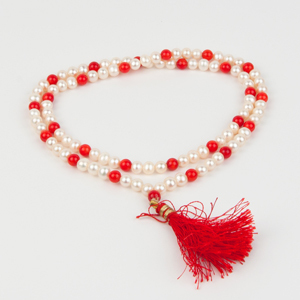 It adds respect, reputation & peace to the person who wears Parad Rosary. 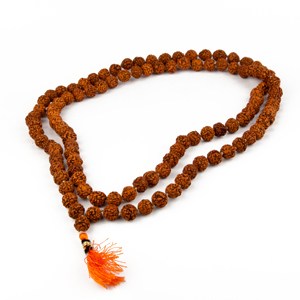 It is used for reciting Mahamrityunjay and health improvement Mantras.